Myrtle Beach, South Carolina features some of the nation's best coastline. A stay with Oceania Resorts is the perfect way to make the most of your visit. With these Myrtle Beach timeshares for sale, it's possible for anyone to enjoy this city like a local. 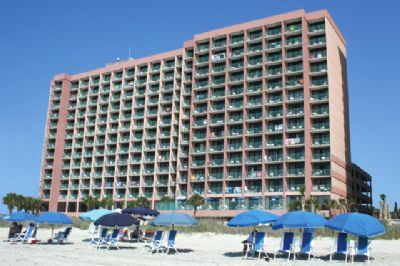 Oceania Resorts will give you the best places to stay while you explore the area around Myrtle Beach. Most people come here to enjoy the 60 miles of pristine sand and the gorgeous waters of the Atlantic. Swimming, parasailing and kayaking are just a few examples of the fun that can be had along the shore. Some people come here just for the scuba diving. Guests may also enjoy world-class golf and fishing during their stay as well as taking in famous attractions like Patriots Point Naval & Maritime Museum, Splashes Oceanfront Water Park and Wheels of Yesteryear. Outstanding shopping is found at Broadway at the Beach, the Market Common and the Tanger Outlet Center. Choosing one of these Myrtle Beach timeshares for sale allows buyers to choose from two luxurious resorts. The first is the Sandcastle South. Located right on the ocean, this property features efficiency rooms and one-bedroom condominiums. Private balconies expand the living space while a convenient kitchen makes it easy to prepare meals. Rooms are elegant yet comfortable, and the resort boasts a full-service restaurant, pools, a lazy river and hot tubs. The Seaside property features two- and three-bedroom timeshare condominiums, which are perfect for larger parties or for those who simply prefer a bit of extra room. Floor-to-ceiling windows make every room feel extra spacious as well as providing excellent views. Full kitchens and designer furnishings mean that these condos are exceptionally well appointed. Indoor and outdoor pools, along with a lazy river and hot tubs, make this the perfect resort for kicking back and relaxing. The property also features an exercise room and meeting space. With Oceania Resorts, guests can vacation exactly how they prefer. The spacious, luxurious accommodations invite everyone to kick off their shoes and relax for a while, as these Myrtle Beach timeshares for sale are ideally located along the beach. Contact Oceania Resorts Specialist Today!